Escape the inner-city madness and enjoy a family friendly evening over the beautiful waters of Manly Wharf. Families take over East and West Esplanades and watch the sun set on the last day of the year, with festivities kicking off at 1pm and ending with the 9pm fireworks. Smoking and alcohol is prohibited, free entry. Watch the fireworks over Pittwater at 9pm and midnight. Family friendly and free event, be sure to get down early and secure a spot for the evening. Alcohol is prohibited in the reserve from 6am New Year’s Eve until 6am the following morning. The fireworks can be watched from Dee Why Beach, set off from a barge right off the beach and can be seen up and down the northern beaches coastline. The display starts at 9pm and is a family friendly picnic spot. Along with spectacular views of the harbour festivities, enjoy an experience of the wild kind and welcome the new year with the trumpets of the elephants and warbles of night-time zoo creatures. Renowned as one of the most memorable foreshore venues for NYE, offering a unique experience for all, with a fun, safe and stress-free atmosphere for families. Tickets available online at: www.taronga.org.au. 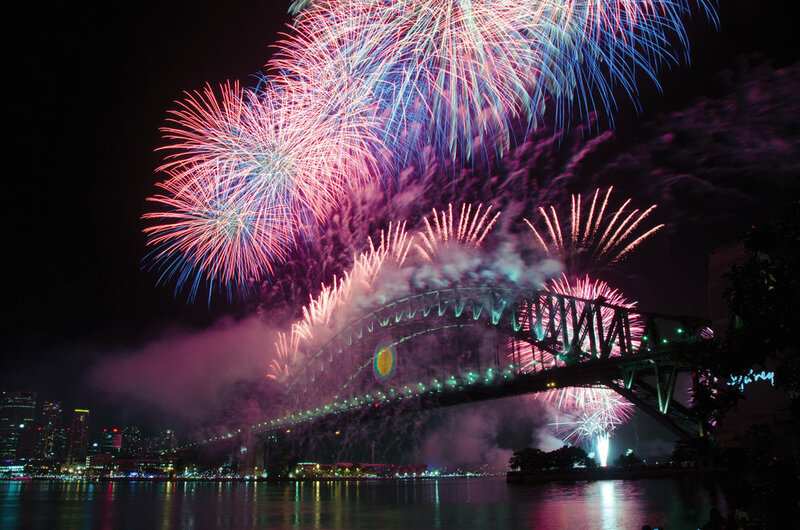 A family favourite by Sydney’s famous Luna Park, Bradfield Park offers harbourside views of new year’s festivities. Be sure to get there before sunset, spots on the grass fill up quickly and it’s not a bad place to relax for a few hours! Fantastic views of the fireworks for up to 16,000 people. A free site that reaches capacity late in the afternoon. No BYO alcohol. There is food and drinks available for sale. Renowned for its awesome line-ups, this festival is the best way to bring in the New Year. Party with artists such as Chance the Rapper, Childish Gambino, Aluna George and many more in the iconic Sydney venue, The Domain.